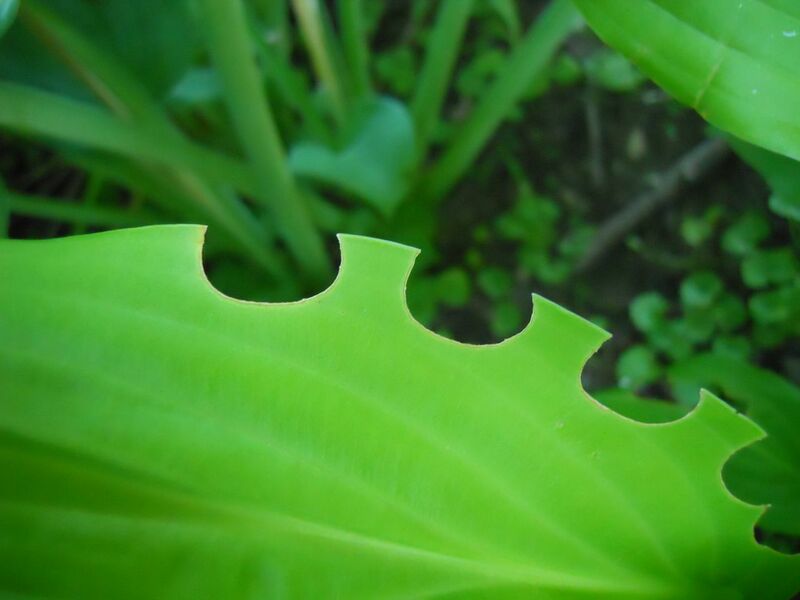 It might be art, the scalloped edge left on this hosta leaf after someone dined on it. Surprisingly, I cannot find a simple web page with photographs of damaged hosta leaves and explanations of which insects do what. Does anyone know who the creative spirit might be? I guess you'll just have to catch the culprit in the act. Looks lovely - but not what you want! Possibly earwig damage?